Delta performs turnkey on-site design build projects for large commercial for profit growers and water parks as well as for non-profit public exhibits such as zoo’s and aquariums. Our in house engineering and technical support staff will determine heat load calculations for your life support systems under variable operating conditions and design the correct boiler or chiller system for your application. Delta will provide complete engineering services including mechanical, electrical and plumbing system designs as needed for turnkey project implementation. 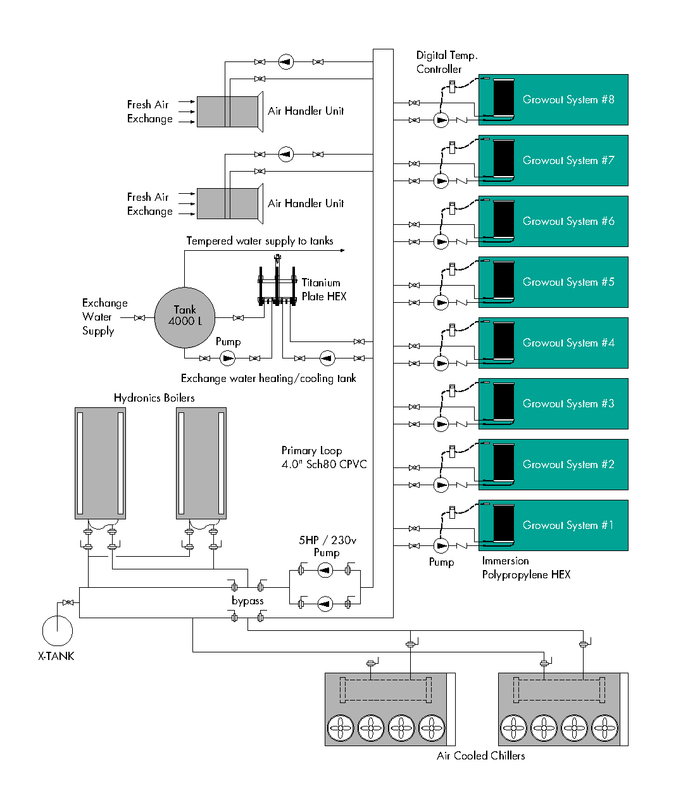 The heating and cooling aquaculture system schematic above illustrates a centralized chiller/bolier plant servicing various multi-temperature loads throughout for a shrimp farm. Central systems can be designed using four pipe designs enabling year round cooling and heating or two pipe systems for seasonal temperature control. Tempered water is continously circulated by primary pumps through a properly sized distribution piping loop to multiple heat exchanger systems servicing the various habitat temperature requirements. 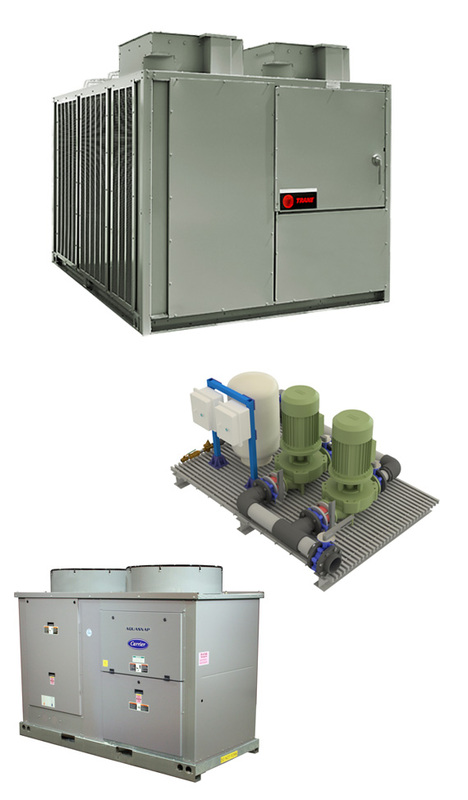 Delta will provide a complete engineering and sizing services based on you specific heating or cooling requirements. For engineering assistance please call us at (727)861-2421 at your convenience or click on the QUOTE button and complete the on-line technical data sheet so we can get started on your project.